And fell down in the darkness on pillows soft and white” while we rolled our eyes and thought we might be sick. If you were very lucky and liked poetry you may have caught a CBC broadcast or rebroadcast of Dylan Thomas reading his poetry when he visited Vancouver in 1950 and again in 1952. But Thomas was dead by ’53, while some of the best poets in Canada were typing their stuff out on ancient Underwoods or Royals, or filling notebooks with unintelligible lines. One of them was named Al Purdy and tonight at TIFF the first of two screenings of the brilliant documentary Al Purdy Was Here will, I hope, introduce or reintroduce Purdy to a full house. The documentary was made by a man whose name should be familiar to filmgoers everywhere. Brian D. Johnson, who acted as Producer and Director, is one Canada`s leading film critics and cultural commentators. He is also an author, filmmaker, musician and broadcaster. As president of the Toronto Film Critics Association, he created the annual TFCA Awards gala in 2008, now home to the $100,000 Rogers Best Canadian Film Award. Johnson is Contributing Editor at Maclean`s, where he was a Senior Writer from 1985 to 2014. He is also a writer and in 1974 released the sweet sounding collection titled Marzipan Lies. He had help from Executive Producer Ron Mann and writer Marni Jackson. Purdy was in the news, sort of, a few years back when the A-frame home he and his wife occupied for years had fallen into disrepair. It had been a mecca for the early pioneers of Canadian literature, writers like Margaret Laurence, Dennis Lee, Margaret Atwood and Michael Ondaatje. 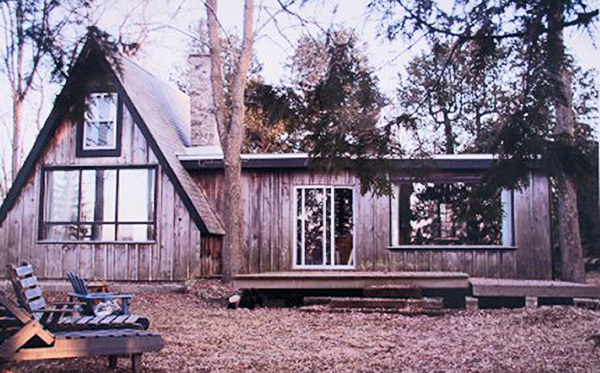 Fifteen years after Purdy`s death, artists and patrons rallied to restore the shambling cabin and make it available as a writers` retreat. It`s a quixotic enterprise, to say the least. But as the A-frame comes back to life, it generates a Purdy revival. The film features performances by artists including Leonard Cohen, Bruce Cockburn, Gord Downie, Gordon Pinsent, Margaret Atwood, Michael Ondaatje, Sarah Harmer, Tanya Tagaq and Joseph Boyden. Al Purdy Was Here screens at 7:00PM at the TIFF Bell Lightbox, and at 4:45 this Thursday, September 17 at the Isabel Bader theatre. Ralph Lucas is the Founder and Publisher of Northernstars.ca. He is also a member of the League of Canadian Poets.